The EVOLUTION series offer unique patent-pending solutions for complete processing of your workpieces. Distinguished by well-thought-through industrial design and extremely stable layout. 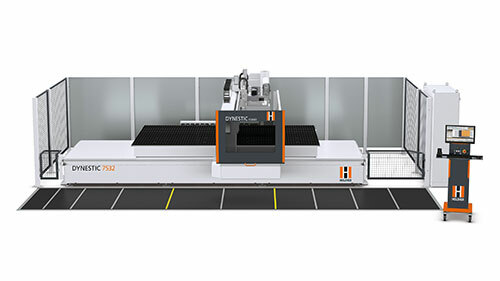 The technical data for the Evolution series speaks for itself: Workpieces with height up to 920 mm and unlimited length can be processed with the smallest possible space requirements. 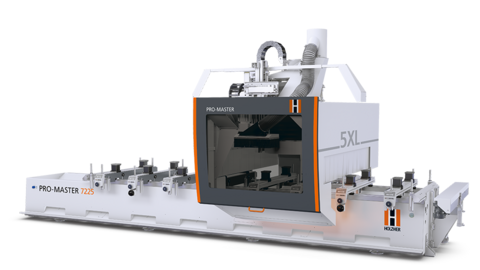 Material thicknesses of 8 to 70 mm make the vertical machining centers from HOLZ-HER all-round machines for producing everything from drawers to body parts, furniture fronts and rear walls; in short complete machining of all your products. Short cycling times and extreme precision, because workpieces with lengths up to 1,500 mm can be machined without reclamping. The solid design of the EVOLUTION series guarantees you maximum machining quality. CNC Machining Solutions for solid wood, panels and composite material to make you even more potent in competition.